Chapter six of Revelations talks about Paul’s vision of the apocalypse. In this vision, God judges the world by opening seven seals of humanity judgement. The first four seals are horsemen that God releases on the world in order to bring death and destruction. This led me to consider if there are horsemen that bring financial ruin upon us. Right away four came to mind: hustler, enslaver, desolator, and devourer. Remember that a road to financial hell is paved with good intentions but no concrete plan. If you believe you are a hustler, then you will be stuck a hustler the rest of your life. Without a financial vision of your future, you will perish. You need a clear goal of what you want; wealth begins in the mind. Let me go into a little more detail on the golden handcuff debt. This chain is referring to those of you that ‘sell your soul’ to your employer. They pay all your fees and you are unable to break free. Debt can be addictive because it encourages instant gratification. But beware! Debt will rob you of your credibility and can destroy your relationships. The best way you can manage your debt is to avoid it all together and live a debt free life. What do you do when you are in debt? When you are in a hole, stop digging. You need to cut up all your credit cards and atm cards. The temptation is not safe, this will help you to stop spending. Start living strictly by your spending plan. Sell off some of your stuff. Make a debt repayment plan. Jesus said that no one can serve two masters. Therefore you cannot serve God while you serve money. As long as you have debt, you are a slave to money. Remember, the borrower is the slave of the lender. It attacks you through emergencies and crises, and keeps you from being able to create wealth. It encourages you to eat up everything you have so that you have nothing to invest. It is important to keep a separate fund that is kept in an easily liquidable form so it can be accessed immediately in case of emergency. This is known as your emergency fund, which is different from an investment fund. How much you set aside in this account depends on you, however much makes you feel safe. I recommend taking precautions so that you do not use up your emergency fund. You could set up a joint account with your spouse so that the two of you need to be present to withdraw. Another option is to open a group account. A group account is nice because you need signatures of all group members before money can be withdrawn. There is no fast way to become rich. So prepare, don’t panic. Remember that time is your friend, and follow my four rules of investment. The first step is to clear all debt. Set up an emergency fund, and then an investment fund. Follow by investing your seed in business, shares, etc. Be careful not to become greedy. Greed is when your desire for more is unchecked and it feeds off your imagination, becoming an obsession. Rather, contentment is key. Contentment is when you know how much is enough. The fourth and final horseman is the devourer. The name of this horseman can actually be found in the Bible, in books such as: Malachi, Deuteronomy, and Haggai. This horseman consumes your wealth. The devourer strikes when you steal God’s tithe. Tithing is an act of worship. It is a sign of how much we love God. It is a sign that we trust God more than we trust money. Tithing shows who our real master is. It is an antidote against greed. It is how God calls us to participate in His eternal work. God knows we are afraid and has called us to trust Him. Have I been faithful to the Lord, and in my vows and commitments? If it’s not that and I have been faithful. Is this the attack of the evil one and I need to bind the spirit of the evil one and command the name of Jesus over him and engage in spiritual warfare? After you have asked these questions, you may say, Lord, if is it you trying to get my attention, I just want to open up my heart so that you can speak to me. Do you think the devourer is on your case? It’s actually not difficult to answer that question. If you’ve been stealing God’s tithe, then right now the Holy Spirit is convicting you. Then yes, the devourer is on your case. Live your life without the financial ruin brought upon by the four horsemen: the hustler, the enslaver, the desolator, and the devourer. Pastor Oscar Muriu has been the Senior Pastor at Nairobi Chapel since 1991. Nairobi Chapel has over 3,000 people and 26 church plants across the world. He holds a B.Sc. (Zoology) from the University of Delhi in India, and an M. Div. from the Nairobi Evangelical Graduate School of Theology (NEGST). Pastor Oscar and his wife Bea have four daughters; Chiru, Chiku, Wanja and Janelle. 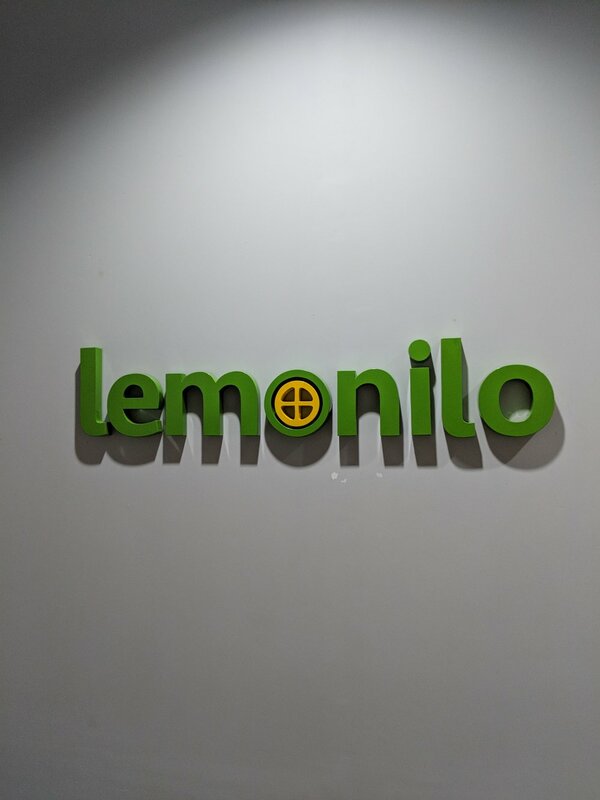 On the afternoon of January 22, 2019, Tommy Lee paid a visit to past cohort member - Johannes Ardiant, at the Lemonilo headquarters in Jakarta, Indonesia. Surrounded by the cheerful green and yellow murals, and beautiful paintings by local artists, the two sat down to catch up on faith, friendship, business, and responding to God’s call. Lemonilo - the brainchild of Johannes and Shinta Nurfauzia, is a healthy home staples brand. Their hero product is healthy additive-free instant noodles in a country where instant noodles are King. This is, after all, the place that brought the world Indomie, and boasts street food dishes like InTerNet - a mixture of instant noodles, telor (egg), and cornet (corned beef). However, analogous to Johannes’ own eclectic background and professional journey, Lemonilo wasn’t always about food. In fact, its journey (from healthcare to health food), which closely mirrors Johannes’ (from engineering to politics to business and more), is a reminder that God’s call often leads to adventures beyond our own expectations. Johannes was born and raised in Jakarta, but studied in Singapore for university at the National University of Singapore (NUS). From an early age, he had a passion for politics, but somehow ended up in degree programs related to Computer Science. The decision had been made in response to pressures from family and the market that demanded for more engineers. After university, he took on a PhD program again related to Computer Science, but found it lonely, and knew deep down he was meant for something else. 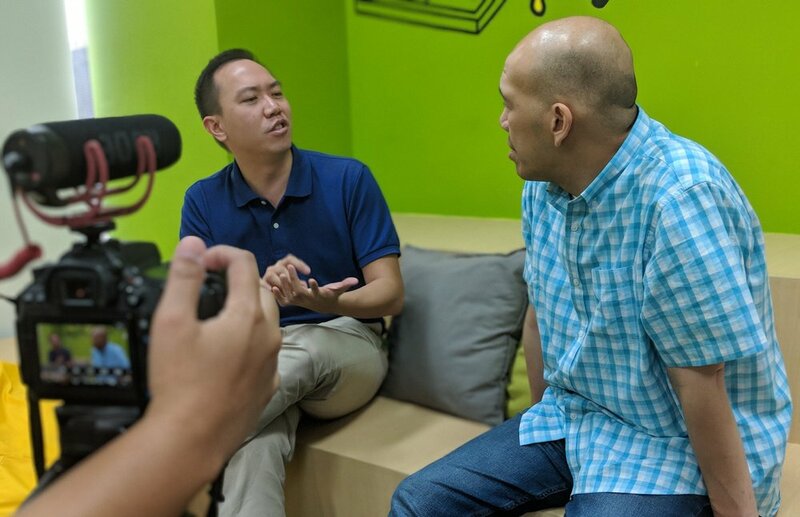 After his struggle through the program, he worked at International Business Machines (IBM) for a time, before finally admitting to his own political passions and aspirations. After IBM, he took on more finance and consulting roles across entities such as Tusk Advisory and the Indonesia Infrastructure Finance, until which point he found an opportunity to go back to school. From 2013-2015, he took his passion for politics with him to Harvard University, and studied a Masters in Public Policy at the Kennedy School of Governance. However, upon returning to Indonesia, instead of doors opening in politics, he saw doors opening in other areas to help the public as a private citizen. With his friend, Shinta, he started Konsula then - a healthcare tech startup that sought to connect Indonesians with doctors. Public health was a cause that he felt the Lord impressing upon his heart, even as he wished for inroads into policy. It then occurred to him, perhaps serving the public from this private sphere, was actually an inroad. After over a year of building the company, he felt a strong call from the Lord to think of an area he could help that was more organic to the Indonesian people. Something that they needed everyday, but weren’t even thinking about. This is where the idea for a health food startup came. The statistics were clear: in 2015 alone, Indonesians consumed 13.2 billion instant noodle packets. That is 55 packets per person, per year, as a general average (counting even infants). The logical conclusion was that Indonesian adults ate instant noodles multiple times a week, despite what most in the developed world might consider common knowledge of how unhealthy instant noodles are because of the preservatives used. In late 2015, reports were surfacing of people developing cancer linked to their frequent consumption of instant noodles. Considering Indonesians’ dependence on the staple food, Johannes saw an opportunity there to provide a healthy alternative. With that seed planted, Konsula slowly grew into Lemonilo. Since then, Lemonilo has launched a second instant noodle flavor (now with both mee goreng [fried noodles], and curry noodle soup), and is well along the path to launching healthy cooking oils, and other pantry must-haves. Johannes has found himself in a leadership position yet again in an area that was not his initial expectation: health products, instead of politics. However, he’s clear that, while it may not have been what he expected, he is learning that “God is teaching [him] the hard way” that doors will open and close according to God’s will. As a leader in this new area in his life, Johannes says “the hardest thing is the draining work, the meetings,” but it is all worth it when rewarded with the blessing of mentoring others and sharing one’s values (something he feels he lacked as a young professional). He also credits Resource Global with a lot of the strength and confidence he has pursuing his work with a Christian perspective. For his cohort, their retreat exposed him to Silicon Valley’s challenges for people of faith - the money, idolatry, relativism, and more. He considers this an important component of his maturity today as a Christian business leader. On top of all this, to cope with the pressures of his work, Johannes says he leans on the personal mentorship he received from Resource Global with Ken Baugh (Saddleback Church), as well as time in the Word. “Being rooted in the Word, focusing on one passage per week, meditating on it…[also,] instead of just spending one prayer a day, taking short breaks throughout the day to converse with God,” these are the things he leans on most when times get rough. For him, now, he no longer mourns for his own dreams (such as a political career). Rather, he feels confident that God will open and close the right doors, at the right times, and his job is to faithfully heed the Lord’s direction.